Full Lace Wigs, The Faye Guide. 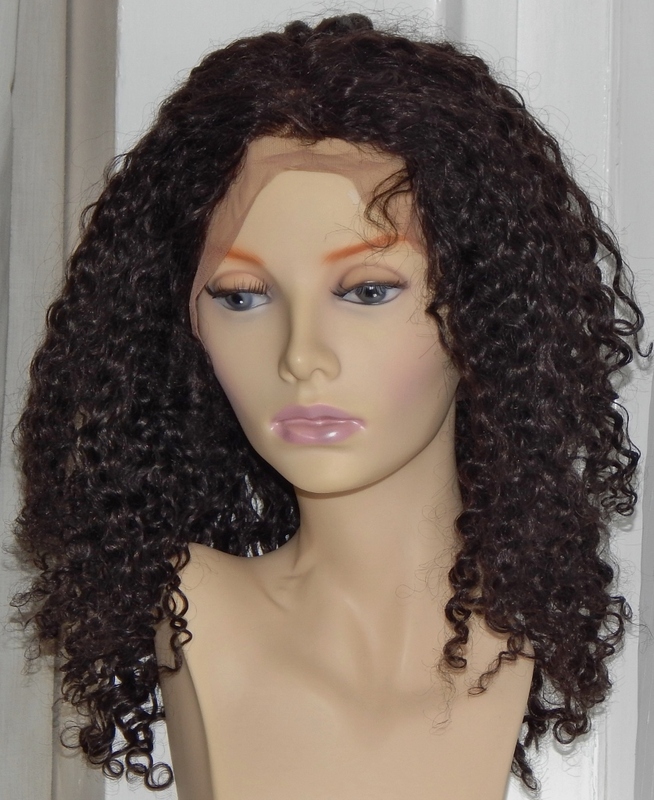 The Faye Curly look for full lace wigs is great for those who love curls but don’t want large corkscrews. It’s a great texture for anyone and especially complements those with growth hair that’s naturally very curly or afro as it’s a curly permed look. Made of human hair it means that it can be heat styled, so if you fancy it straight then get out your flat iron or straightener. This is a medium length wig which works well with all face shapes. 19 inches (crown to tip when curly), medium density (110-120%) for a full, natural look. Hmm… “How do I measure my head?” We hear you ask. Go peruse our LW (lace wig) measurements guide for help. The colour of the wig means it suits all complexions. The cap construction of these full lace wigs means they’re versatile. If you’ve got growth hair (full or partial) you can wear it or if you’ve lost all of your hair you can wear it. The colour shown is 1B, in case you’re wondering, this is off black and if you’d like the same style and length in a different colour we’d be glad to arrange that for you.